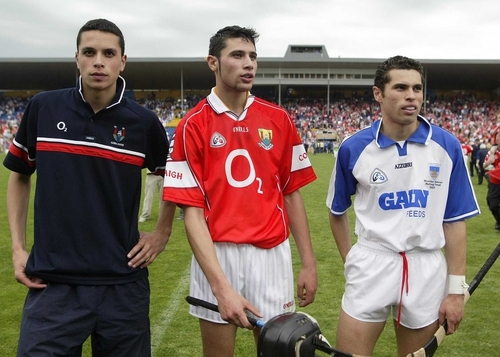 The O hAilpin brothers to be reunited down under? Carlton coach Denis Pagan has insisted that nothing has been arranged as regards Na Piarsaigh hurler Aisake O hAilpin trialing with the Aussie Rules club later this month. With the 19-year-old due to fly out to Melbourne on Friday, the Blues have not formally invited the youngest of the O hAilpin brothers to train with them - but will do so once he arrives. If so, Aisake will be a target for the December 14 international draft. "We're still in discussion about it at the moment, so I'm not really prepared to make any comment on it at this stage," said Pagan. "It's something that we tried with Setanta and it's still a long way from coming to fruition. There's a lot of things that need to take place. "We're pleased with what's occurred so far with Setanta and we just hope that he can really grow and develop." 21-year-old Setanta began pre-season training with Carlton today, and has impressed since moving down under - making the senior squad after just six months as an AFL rookie.